If the bright orange and yellow colors aren’t enough to reel you in, I’m pretty sure the food will hook you. 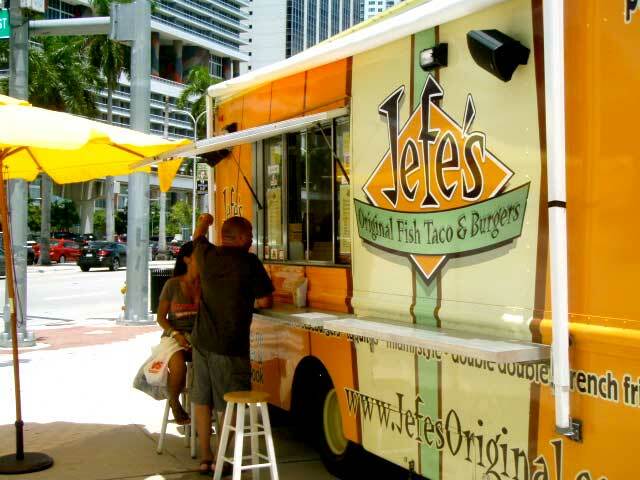 Jefe’s Original Fish Tacos & Burgers is a gourmet food truck experience that transports you to the cool and easy going shores of Ensenada, Baja California. The menu is a spin on “Jefe’s” long-lost taco recipes. It is said he was a legendary surfer in California in the mid 1900s, who dominated the waves and credited his success to the food at his mom’s beachside tacqueria. 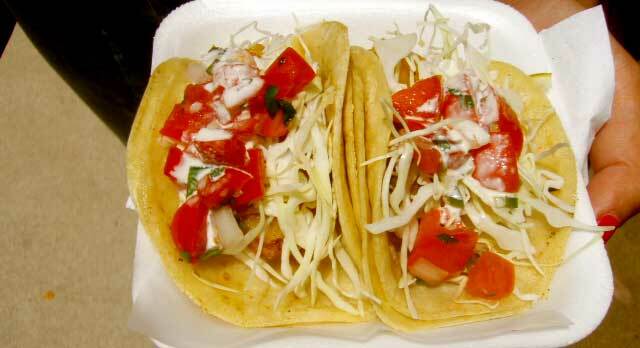 My personal favorite is the beer-battered Ensanada-Style Fish Taco ($2.35 each). Along with taco essentials (pico del gallo, cabbage and sour cream), it comes with Jefe’s homemade hot sauce on the side. The fish is cooked to perfection, fried so that it’s crunchy, but soft enough to taste the freshness when you first bite into it. They also offer Tacos Carnitas, slow roasted pork tacos topped with roasted salsa verde ($2.35 each). Taquitos come in sets of three, served in crispy corn tortillas rolled with chicken, or slow roasted Jefe’s pork and topped with flavorful additions, such as guacamole and grilled spring onions ($6.65 for three). The All American Burgers are 100% beef patties, stacked on a toasted bun with tomatoes, lettuce, pickles, onions and, of course, Jefe’s own boss sauce. 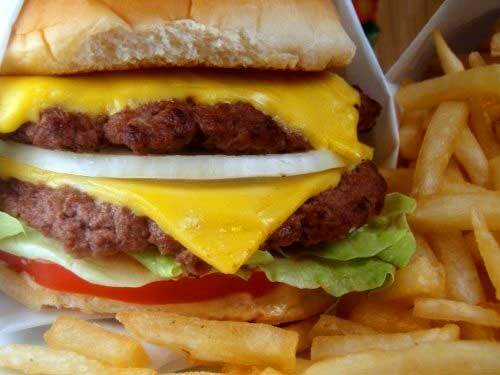 You can choose from classic hamburger ($3.65) and cheeseburger ($4.65), or be adventurous and order the double cheezer ($6.65) for double the fun. If you want to kick it up a notch, order your burger Miami Style (at no cost). This ensures a bigger serving of toppings and the addition of some grilled onions. The Jefe’s team has been welcoming and kind every time I’ve indulged in their fish tacos. These “vatos making tacos” are friends you’ll want to keep visiting again and again. Prices range from $2.35 to $6.65. 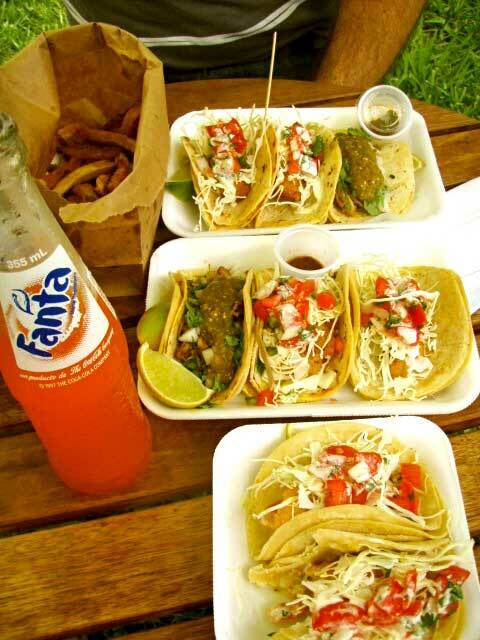 Great blog post… next time we hit MIA, we need to go get some tacos! Thanks Jeff! Yes, I’ll personally take you!